Want to learn how you can make $1000 + a day in the comfort of your own home. While only spending 30 minutes of your time doing so? Really folks, just 30 minutes a day and in no time you can be making over $1000 a day! Sound too good to be true? Well your damn right it is, that’s all a pipe dream and there have always been shysters out there who take advantage of the gullibility of the masses. When it comes to online marketing, nothing happens fast for the newcomer. Depending on what you put into the process in blood sweat and tears (OK, so there hasn’t been any blood, unless you count when I burst a blood vessel because something I spent hours on, just stopped working correctly)! Also, I don’t usually sweat a lot, unless I’m outside in my office on an exceptionally warm day. But let me tell you, there have been rivers of tears, like when you have been doing something that works on these danged ornery computers for days and then when you repeat the process for the hundredth time and it doesn’t work and you have to stop what you are doing and figure out what went wrong! 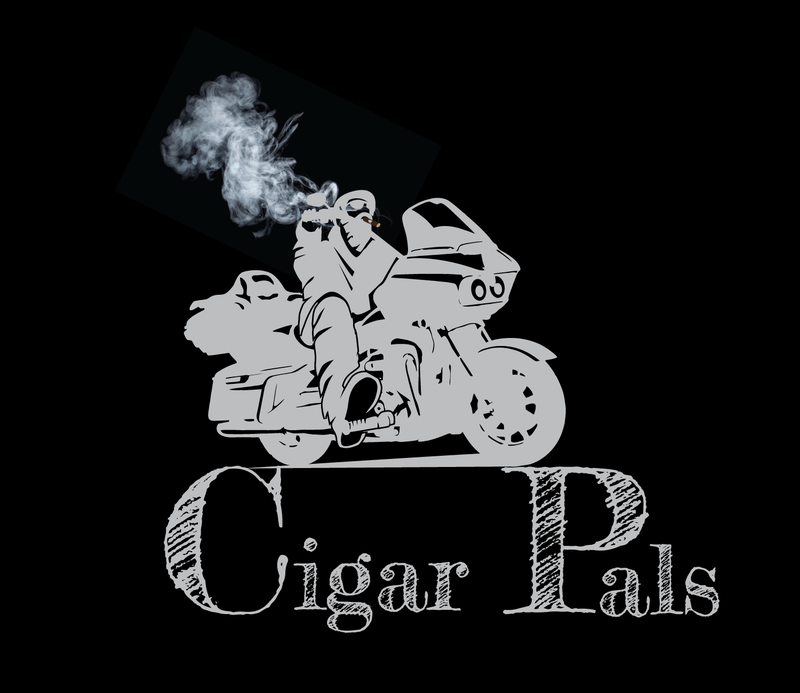 When I started Cigar Pals, I had tried this about 5 years ago and so I had a pretty good understanding of what this was going to look like. I knew that success does not happen overnight and would take a lot of perseverance, and that at time’s it would be down right frustrating and I would want to quit! That is why I decided that my first blog would be about cigars (oh yes, unless things go really good, this is only one of many that it will take to make a living at this) because this is something that I am passionate about and I figured that might be my saving grace to keep me motivated, or to drive me insane! First I had to come up with a niche. That’s right, a niche, just a small bite! There was no way I could go up against the big guns who have been doing this for years and established their websites and gained google confidence and a huge following, I wouldn’t stand a chance. 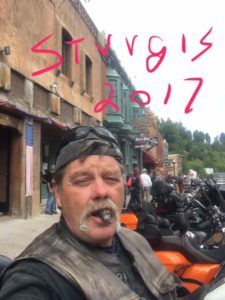 So here’s my niche ” I’m a guy who rides around the country on a motorcycle smoking cigars, having what I call “Cigar Adventures” and then writing about them”. This is something new and just different enough to make me unique! “a Niche”. Then I had to come up with a name (preferably that could end with .com) and funny enough, when I tried this 5 years ago, I was cigarpals.com back then. So when I went to get my domain name I checked to see if it was available and sure enough it was. OK so let’s see if I can keep this flowing. I had already joined Wealthy Affiliate because they provide a hosting platform and tons of training, walking you through the whole process and offering a lot of support. So with their guidance I started building this blog and searching out great content! Great content is what Google wants to see, and a lot of it! First I had to build the site, which really is the easy part, but then I had to find things to write about that would be informative as well as entertaining for you, my audience. This part came kind of natural for me, because I am a songwriter and I was already traveling around the country looking for cigars, seems like I was always running out! What didn’t come natural was the part about, finding cigars had to become “having great cigar adventures”! I stop at a cigar store to pick up some cigars (on my Harley of course) and walk in say hi, go to the humidor, pick out some cigars and check out with the cashier and somehow must turn this into the adventure of a lifetime! Fortunately I am finding out that, what appears to be a simple process, can turn into an adventure if I am engaging and whoever is minding the store is passionate about cigars. When that happens it really is an adventure! That passion, on my part and those that I have met along the way has kept me from just scrapping this whole idea. I really do have an incredible time doing this. I have said it many times in many ways, that cigar people as a whole are really cool and unique and a lot of fun to be around and they keep it interesting! I knew that this was part of it, but at times it can be overwhelming! This isn’t like “Field Of Dreams, where If you build it they will come”. As I said before, building it is the easy part, How do I get people to check it out (that’s called driving traffic). I have found that people are fickle and even though they wish you the best and occasionally when reminded they will drop in and check you out, as a whole they are not consistent, so I have to build a following of people who will tune in regularly (not easy, and sometimes just downright frustrating)! Then You have to build SEO (search engine optimization) This is where you make Google Happy, so they will rank your keywords on page 1 for that key word (or really words), because if you are not on page 1, you won’t make any money. How do you make money by being on page one, you ask. That’s easy…. I have to hope that you will click on one of those advertising banners and purchase what ever they are selling and if you do that, I get a shiny new car (not really) I get between 7 % and 15% of the money you spent (if I’m lucky)! That’s the condensed version of what it takes, believe me there is a lot more involved than that. When I started this about 8 months ago, I thought that I knew a good bit about cigars, well let me tell you, I have found out that I am just a babe in the woods with a mere 9 years of cigar smoking behind me. 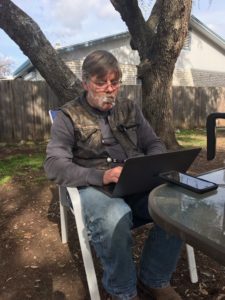 I have learned so much about cigars since I began this blog and what I know is that I have only touched the edge of the iceberg. I had no idea that so much went into the making of a cigar! From the special climate and soil conditions that can only be found in a few places in the whole world, to the way they blend the leaves to make that perfect flavor! How to properly smoke a cigar and pick out the nuances in each stick to government regulations that are impacting the industry in the US. and that’s just a small part of it also. There is so much to learn, and every day I am absorbed with trying to learn about how to blog and knowledge of cigars and I am getting ready to take on a Podcast. I could work on this blog 8 hours a day, 7 days a week and not run out of things that need to be done and to date I have not made a penny on this deal! That’s where the passion comes in! OK, so the ads are not lying: you can make that kind of money and I am sure that I will be at some point, but it takes a lot of effort to get there with months of frustration, but I have to keep my eye on the prize! To generate enough income so I can continue the adventure without having to stop to do a job I don’t like to make enough to continue for a few months. So can you really Make $1000 a day online. Yes, but not today! I wrote this post to satisfy Google by creating constant relevant content, I hope they are happy! Part of me making Google happy if for you (my beloved readers) to make comments and ask questions below. I can not express enough how important this is when it comes to ranking with Google. When you do comment: please put the title of the blog in your comment (that would be “Make $1000 a day online”) if you could ask a question or comment that I can answer and build a dialog, that is even better! Also Please, Please when you go to my blog, Please look at more than one post! If you only look at one, that is called a bounce and Google doesn’t like it! They think you are not interested in my blog.